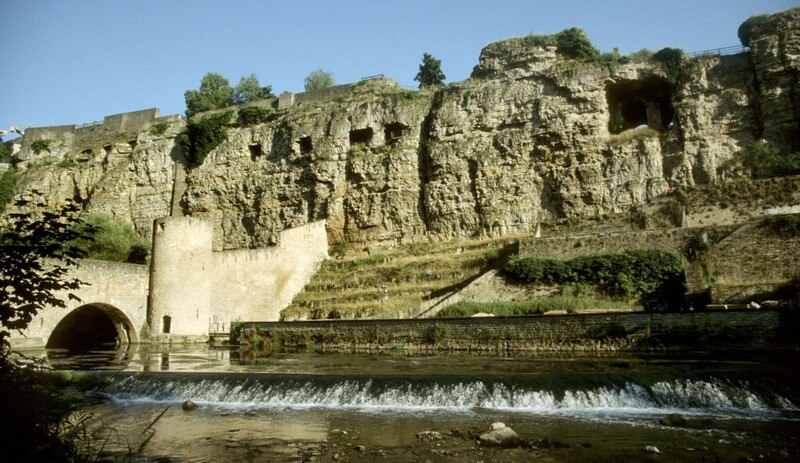 In 963 Siegfried, Count of Ardenne, acquired this massive rocky ledge, the cradle of the city of Luxembourg, through bartering with the Saint Maximin Abbey in Trier. The rock on which Siegfried built his castle, played a strategically crucial role. Surrounded on three sides by the Alzette valley and accessible only from the west, the stronghold proved easy to defend. Inside the rock, the visitor finds the other historic monuments as the archeological crypt as well as casemates of the Bock, formerly used as underground defence galleries.